The Roads and Transport Authority (RTA) has extended the test run of its manned Autonomous Air Taxi (AAT) to meet all operational requirements of safety and security for these type of vehicles. 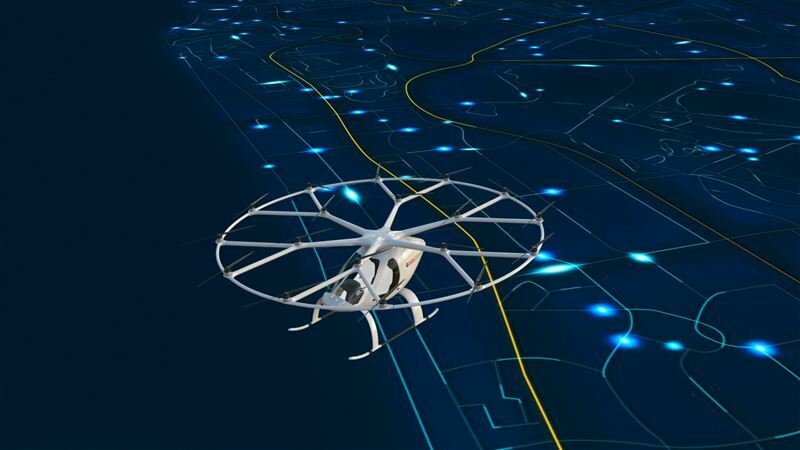 The RTA also announced the signing of an agreement with the German VOLOCOPTER Ccompany; a specialist in the manufacturing of Autonomous Air Vehicles, to launch the first vehicle capable of carrying two passengers. The trial operation of this taxi will begin gradually in the fourth quarter of 2017. "The test run of the first Autonomous Air Taxi capable of carrying two passengers is in implementation of the directives of His Highness Sheikh Mohammed bin Rashid Al Maktoum, Vice President and Prime Minister of the UAE and Ruler of Dubai, to transform Dubai into the smartest city worldwide. It also comes as part of RTA's efforts to provide autonomous transportation by conducting the required technological tests of those vehicles under the climatic conditions of Dubai. The move also echoes Dubai’s Smart Autonomous Mobility Strategy that seeks to transform a quarter of the total mobility journeys in Dubai into autonomous transport by 2030. Another objective is to enhance the integration between mass transit modes and people’s happiness by providing smooth, fast and innovative transit modes,” according to HE Mattar Al Tayer, Director-General and Chairman of the Board of Executive Directors of Roads and Transport Authority (RTA). “The AAT is powered by electricity and has high safety features, thanks to its design comprising 18 rotors to ensure safe cruising and landing of the taxi in case of any rotor failure. 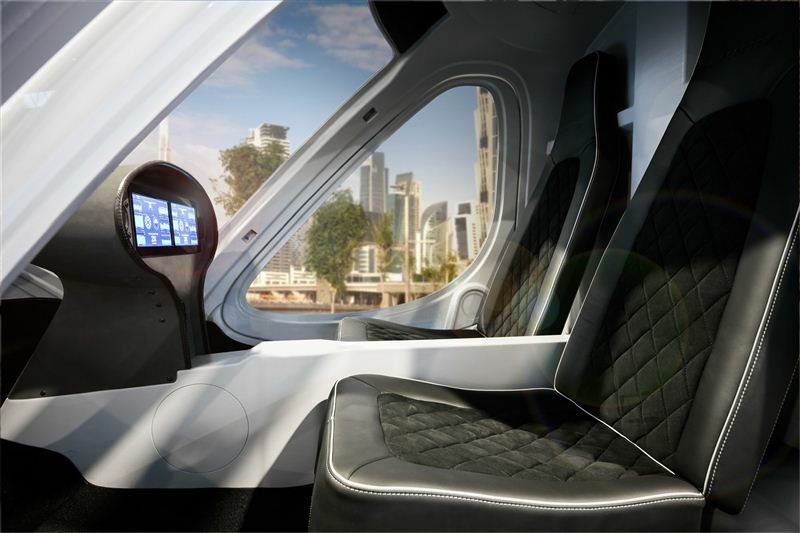 The air taxi is characterized by its autopilot or autonomous flying, thus enabling the movement of people from place to another without human intervention or a need for flight license holder,” continued Al Tayer. “A delegation from RTA visited several autonomous air vehicle manufacturers, and the German VOLOCOPTER company was selected thanks to its compliance with the international safety and security standards, and passing the rigorous standards of the German Aviation Authority, which apply the highest safety and security in designing and operating aircrafts. In the final quarter of this year, the RTA will launch the trial run of the AAT, and the experimental phase is likely to continue, with the follow up of the issuance of the legislations required to operate such a kind of vehicles for about five years. During the trial period, all aspects relating to the operation as well as security & safety of the autonomous aerial taxi will be verified and checked. The official operation hinges on the readiness of companies and the availability of legislations necessary for operating autonomous aerial vehicles,” explained Al Tayer. “RTA strives to provide the best autonomous aerial taxi transit system in the emirate of Dubai in cooperation with flagship companies from around the world. RTA is working with the Dubai Civil Aviation Authority to develop the legislative and operational guidelines, define specifications and standards applicable to operators in the emirate such that these legislations will be ready before the date set for the commercial and official operation of the autonomous air vehicles. It is noteworthy that the operational and legislative structures will be the first of their kind worldwide. In coordination with its strategic partners and in the Emirate, RTA will specify the air routes of journeys, take-off and landing points of these taxis as well as the logistics needed to ensure safe and smooth mobility of passengers. RTA will forge additional partnerships with other manufacturers of autonomous air vehicles after ensuring their fulfilment of the specifications and standards of air safety approved in Dubai. The Autonomous Air Taxi has a variety of unique features highlighted by top security & safety standards, and multiple redundancy in all critical components such as propellers, motors, power source, electronics and flight controls. It is also fitted with a full aircraft emergency parachute, nine independent battery systems, battery quick-change & plug-in system, and fast battery charging time of 40 minutes. The AAT is charcterised by luxurious interiors and leather seating for two persons. It is environment-friendly as it is powered by clean electricity, has very low noise. It has a maximum flight time is approximately 30 minutes at a cruise speed of 50 km/h, and a maximum airspeed of 100 km/h. The AAT measures about two meters in height, and the diameter of the rotor rim including propellers is about seven meters.